From 1994: the first of the Dell BABYLON FIVE paperbacks. This was pretty disappointing when it was released. Mostly because we'd been reassured that merchandise associated with the show would be of a higher standard and spin-off fiction would be better integrated into the much discussed story arc. What we got was a book which seemed to have only the most tenuous grasp of the show's appeal, characters and overall format. Apparently this was because Dell were something of a reluctant licencee and wanted the first three paperbacks completed and released during the show's first season... just in case there was no Year Two and no discernable TV afterlfe. So the books had to be written early in the first season production cycle with only the pilot movie (fairly atypical of the series that followed), early scripts for the weekly series and completed episodes as they rolled off the production conveyor belt. 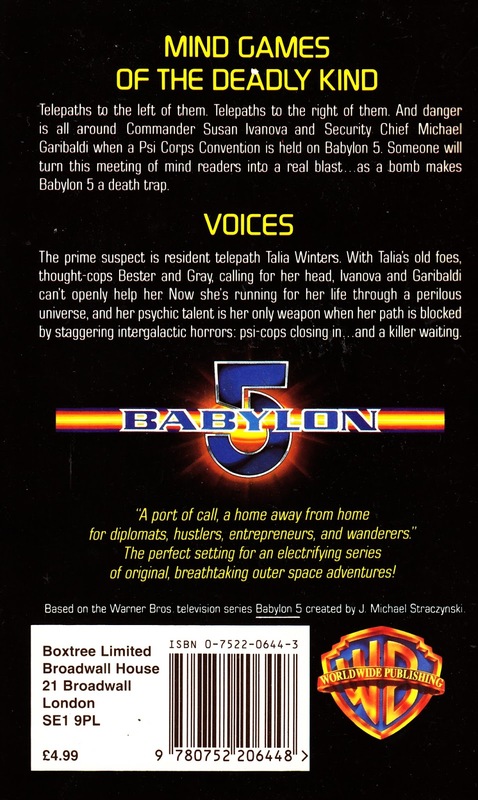 The B5 production office were also apparently ill-prepared to be dealing with licensed products and there wasn't a system or staff in place to offer advice or give feedback on the submitted manuscripts. Things did - without doubt - get better later. 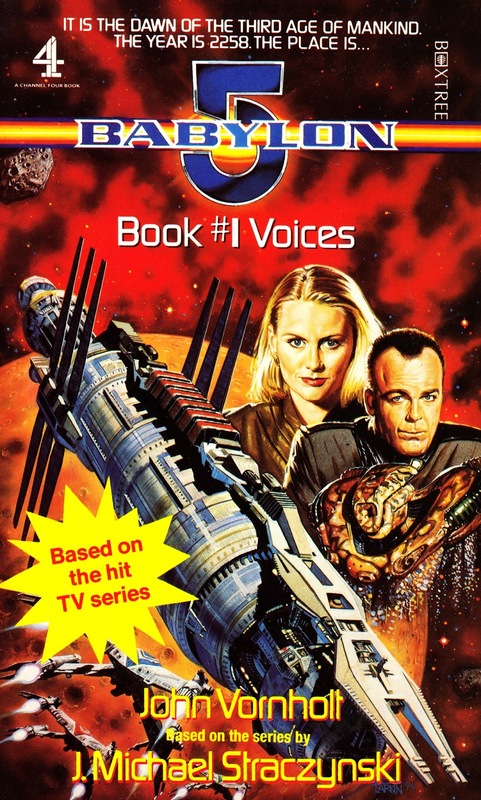 This is the UK edition, published as a Channel Four book, by Boxtree. the cover was nice even if the contents were sub-standard.